It’s December. 2013 is almost behind us, and we have survived another year of uncertainty. The Innovation Excellent team is clicking on all cylinders and looking forward into 2014. You are invited to join us as we discuss what we learned from 2013, and the emerging trends for 2014. About Innovation Excellence: Innovation Excellence is the online home of the global innovation community, building upon a rapidly-growing network with thousands of members from over 175 countries – thought leaders, executives, practitioners, consultants, vendors, and academia representing all sectors and industries. Our mission is to broadly enhance innovation by providing a forum for connection and conversation across this community – assembling an ever-growing arsenal of resources, best practices and proven answers for achieving innovation excellence. 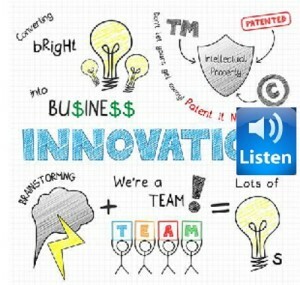 This entry was posted in General, Innovation Talk and tagged Innovation Excellence by admin. Bookmark the permalink.